An Apple user posted the above complaint on Apple’s official customer care website. But many of us may not understand what iTunes error 3014 stand for or why iTunes is encountering an error while updating/restoring their iOS. What is iTunes Error 3014? iTunes error 3014 is one of the restore/update error codes when iTunes cannot access Apple’s iOS software update server. You may keep getting this error on your iTunes if you don’t get to know what is causing the error message. Incomplete iTunes installations or corrupted/outdated versions of iTunes. Corrupt iTunes related components in the Windows registry. Other programs overwriting iTunes or stopping it from working properly. Wrong computer date and time. 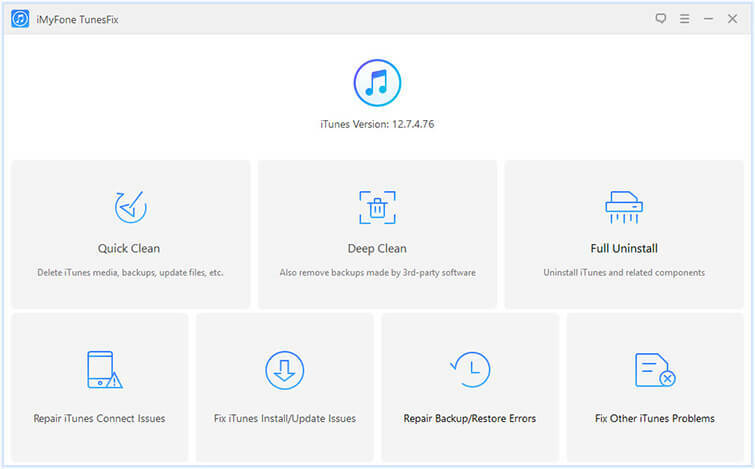 iMyFone TunesFix, the world’s 1st iTunes repair master, offers primary fix solution for all iTunes errors and issues, including all the restore/update errors. So take it easy and run TunesFix to repair the error for you. You just need one click to let it done. Easily repair any unknown restore/update error, like error 3014, 2, 37, 4037, etc. Also fix iTunes could not connect, won’t open, could not instal/back up/restore backups and other errors. No data loss happens when you repair iTunes. Clean iTunes data to reclaim huge space and boost computer performance. Completely uninstall iTunes and related software components without leftovers. Step 1: Open TunesFix and it will automatically detect your iTunes and components. If your iTunes is complete, you will be brought to the home interface. Step 2: You will see 4 repair modes there. 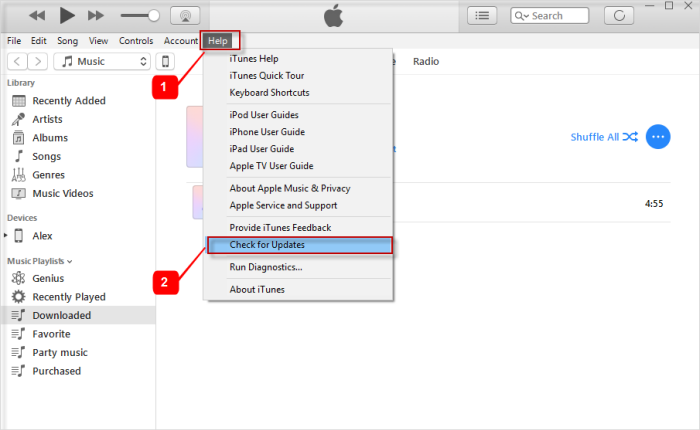 As error 3014 is iPhone restore or update issues, choose “Fix Other iTunes Problems” mode. Step 3: Click “Repair” and just wait for it to finish. When it’s done, you will be able to restore or update your iPhone properly. Updating your iTunes software is a good way to get rid of iTunes error 3014. This was found out from many iTunes users’ testimonials as regards to solving this issue. 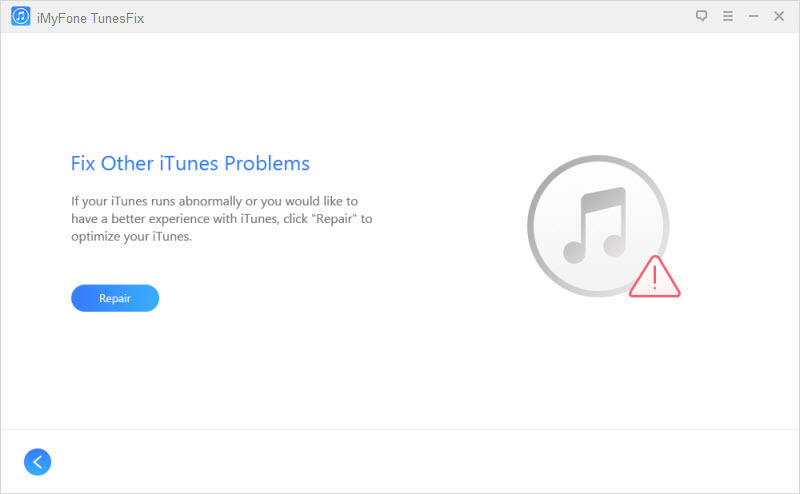 iTunes Error 3014 may arise due to wrong Date and Time settings on your PC. Wrong date and time settings on your PC would lead to confusion zone confusion while communicating with Apple servers. The best way to avoid this error in such as case is to check your date and time. Step 1: Open Settings menu on your PC. Choose Date & time. 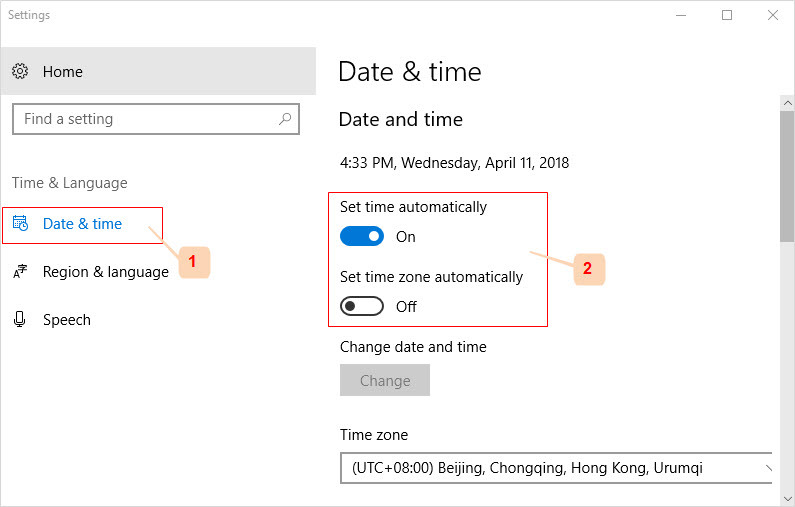 Step 2: On the right panel, switch “Set time automatically” and “Set time zone automatically” off and switch them on again. Your Windows firewall may be the reason why iTunes is not working properly as it should. So, just turn it off before updating/restoring your iPhone, then turn it on to protect your computer from malicious threats. Step 1: Open “Control Panel” and click on “System & Security > Windows Defender Firewall”. 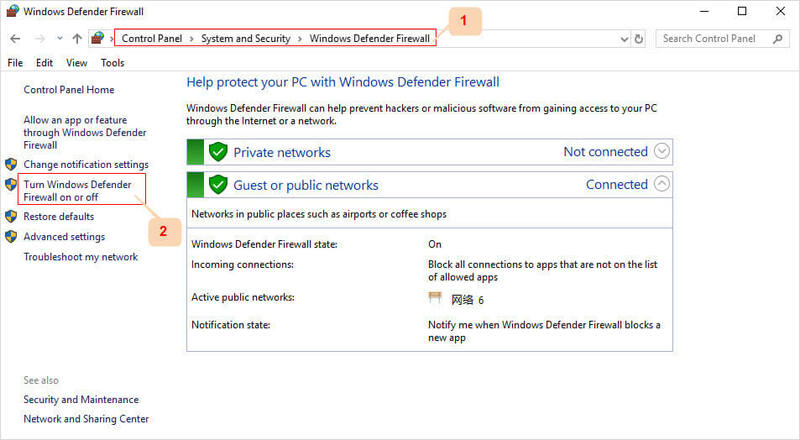 Step 2: Turn Windows Defender Firewall off. You can now update your iPhone via iTunes, then turn Windows Firewall on later. Editing the host files should be your last resort when fixing iTunes error 3014. Step 1: Launch Notepad and click File. Step 2: Open and navigate to this file location: C:\WINDOWS\System32\drivers\etc and open “hosts” file. Note: Make sure you have changed the view options to All Files from the drop-down arrow on the bottom right of the dialogue box. Step 3: When you see the hosts file, paste this line at the end: 74.208.10.249 gs.apple.com and save it. Step 4: From your browser, open https://support.apple.com/en-us/HT201442. If you have done this step correctly then it will lead to Cydia website. Step 6: After removing these lines, save the hosts file. Then open your browser and go to https://support.apple.com/en-us/HT201442. It should direct you to Apple’s website. If you have done the steps successfully, you would be able to restore/update your iPhone now. iMyFone Umate Pro Win/Mac is the best alternative to iTunes data restoration feature. 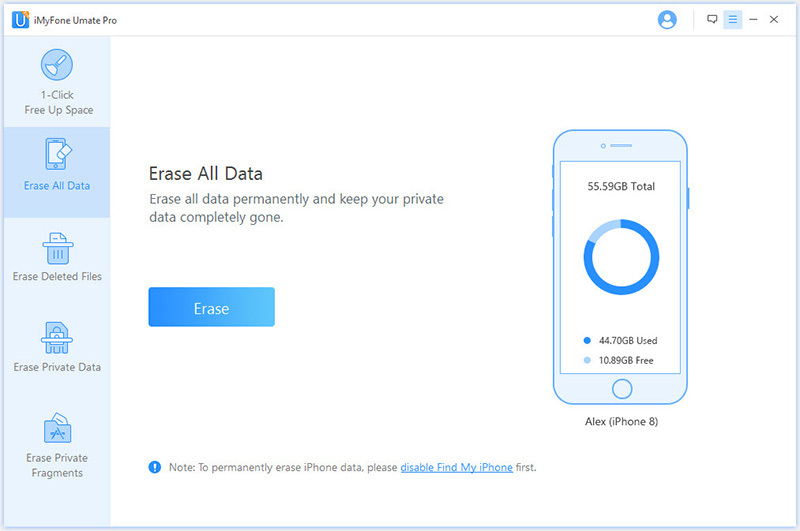 It can help you to erase all your iPhone data permanently without any possibility of data recovery. Hence, you can use Umate Pro instead of using iTunes and running into error 3014. Restore iPhone to its factory settings without iTunes. Erase iOS device with 0% chances of data recovery. Selectively restore iPhone data to avoid data breach, like message, call logs, photos, videos, browsing history, WhatsApp, etc. Show and completely erase previously deleted files from iPhone. Step 1: Download and install iMyFone Umate Pro on your PC. Connect your iPhone to your PC using a USB cable, then launch Umate Pro. Step 2: Trust your device and choose “Erase All Data” mode from the sidebar. Then click “Erase” button to start scanning your device. Type “Delete” into the box. Then click on “Erase Now” tab to start erasing your iPhone.